Summary (from the inside flap of the book): Addie is visiting Ireland for her aunt' over-the-top destination wedding and hoping she can stop thinking about the one horrible thing that left her miserable and heartbroken--and threatens her future. But her brother, Ian, isn't about to let her forget, and his constant needling leads to arguments and even a fistfight between the two once-inseparable siblings. But when Addie discovers and unusual guidebook, Ireland for the Heartbroken, hidden in the dusty shelves of the hotel library, she's finally able to escape her anxious mind--and Ian's criticism. And then their travel plans change. 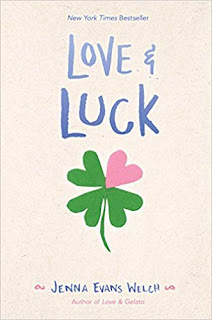 Suddenly Addie fins herself on a whirlwind tour of the Emerald Isle, trapped in the world's smallest vehicle with Ian and his admittedly cute Irish-accented friend Rowen. As the trio journeys over breathtaking green hills, past countless castles, and through a number of fairy-tale forests, Addie hopes her guidebook will heal not only her broken heart, but also her shattered relationship with her brother. That is, if they don't get completely lost along the way. Review: I know that I just read Love and Gelato recently, but I couldn't resist Welch's second novel. I didn't even read a synopsis of the novel before beginning it, that's how sure I was it would be a fun and good read. And I was right. I didn't connect that the main character, Addie, was Lina's absent best friend in Love and Gelto, but that was fun to have Lina become the absent best friend in this book. 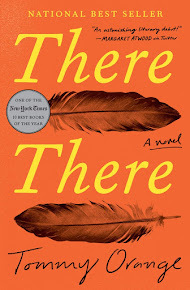 Welch has an easy style about her writing that makes the story move smoothly and allows the reader to get to know, and fall in like with, her characters quickly. There is always a sense of exhilaration, fun, adventure about these books and I know that things will work out alright in the end. Perfect for summer! Instead of learning about Italy as we did in her first book, in this one, Ireland was the setting. By including excerpts from a love-lorn guidebook, Welch teaches the reader all about some of Ireland's most famous castles and tourist spots and that really adds to the experience of reading this book.